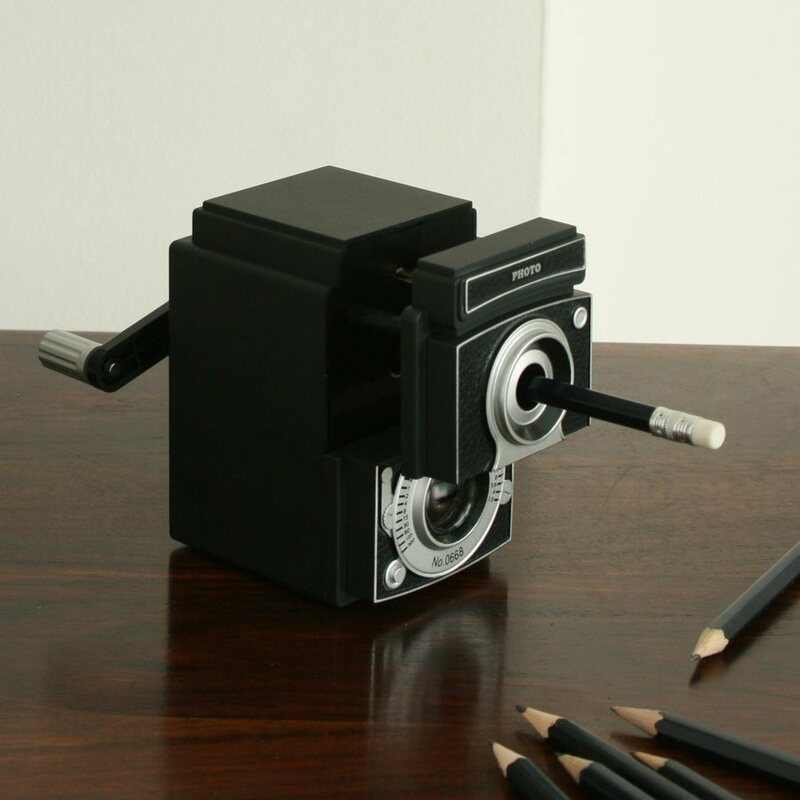 Camera-shaped hand-crank pencil sharpener with a hidden drawer for shavings. The occasion to use a pencil doesn’t happen all that often for us anymore, but we still keep a few around for sketches, plans and back of an envelope math. 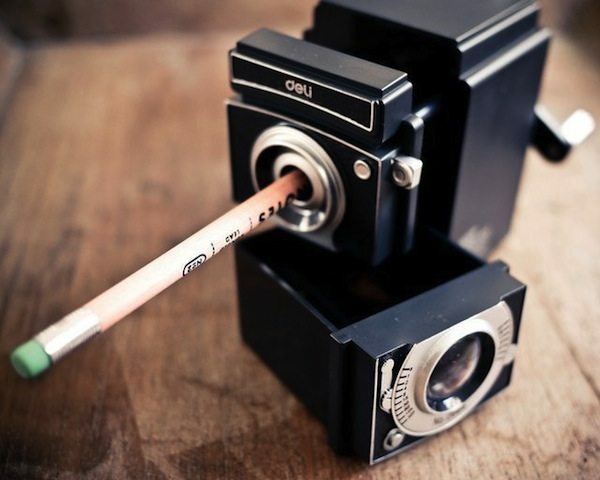 Sharpening them can be a bit of a pain without a sharpener. We’ve tried knives and razors and other bladed instruments, but the sharpener is the only way to get a good enough point. 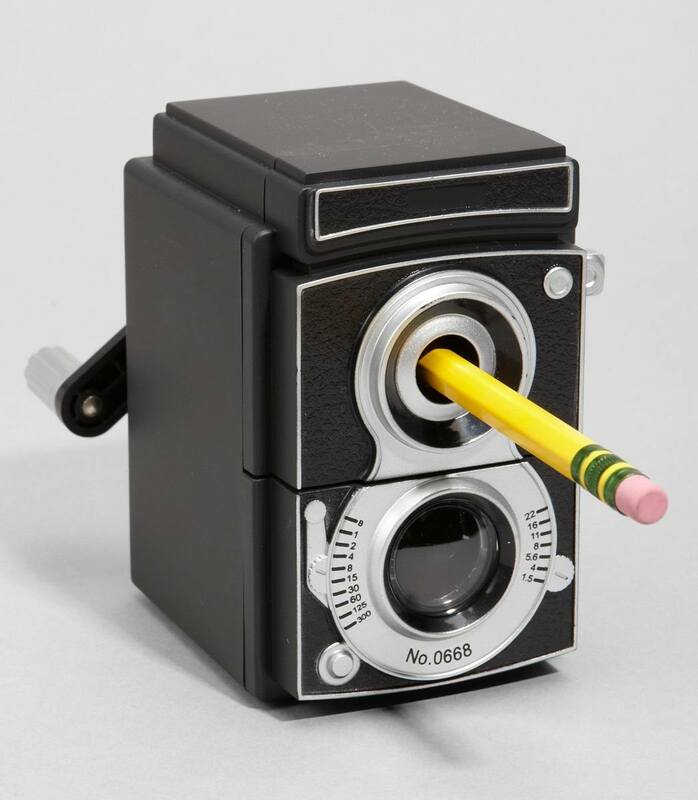 The $0.99 pencil sharpener you can pick up from the college dorm section of the local big box store just doesn’t cut it in the design department, though. 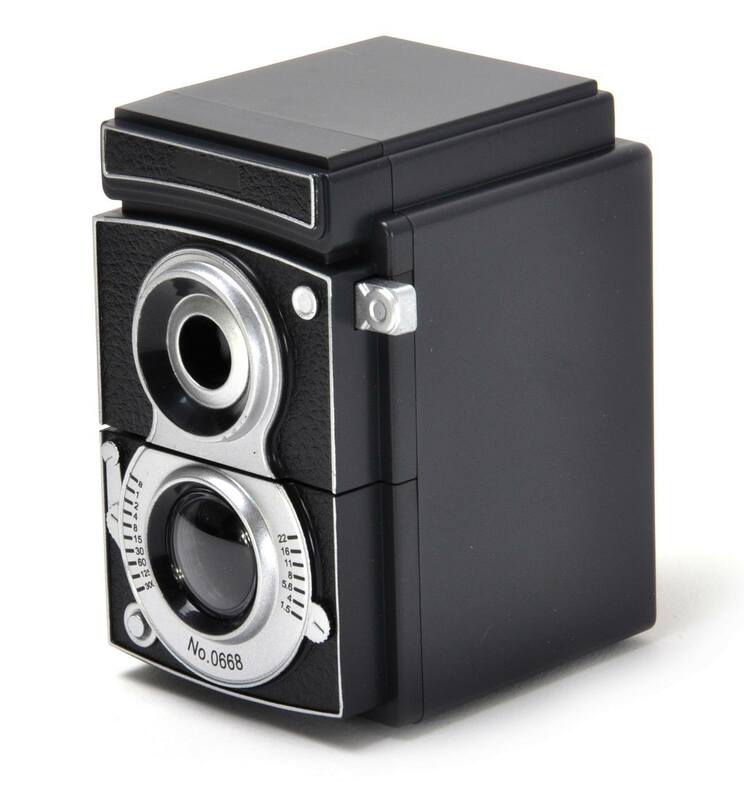 The Vintage Camera Pencil Sharpener addresses our love of vintage cameras and the need to sharpen pencils perfectly. The plastic sharpener is powered by good, old-fashioned elbow grease and includes a hidden drawer for shavings. 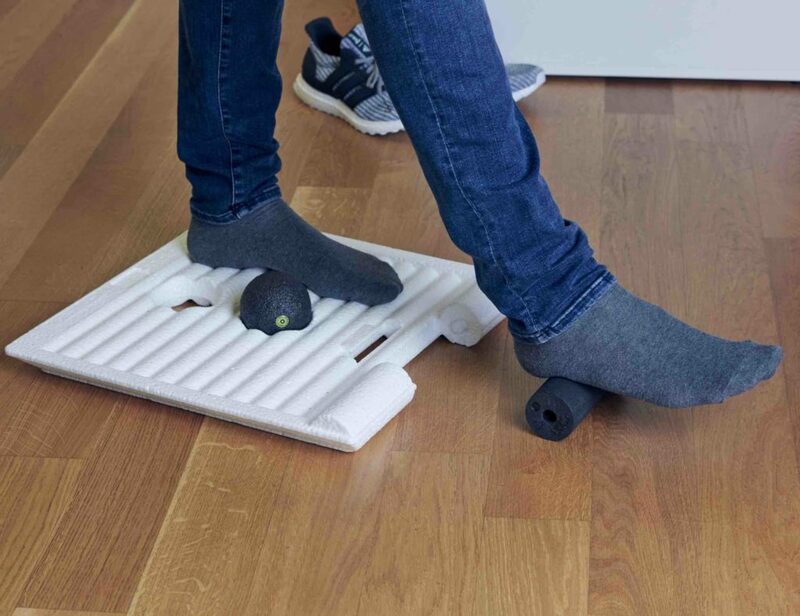 Even if you use it infrequently it will still look good sitting on a desk.